How Does Accounts Receivable Management Work? Ask most business owners to tell you the one area they would love to have more control over in the sales process, and they will likely say it’s the last stage—making sure customers pay their invoices on time. This is called accounts receivable (A/R). It’s usually where companies hope their cash flow remains firm so they can increase inventory, make payroll, and continue competing in the marketplace. Finding ways to resolve overdue invoices and non-payment can be a challenge. What most business owners quickly learn is that most of this can be addressed through proper accounts receivable management. 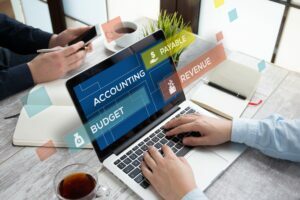 Businesses that excel when it comes to accounts receivable management also know when it’s time to ask for help to deal with limited cash flow and tracking down payments on invoices. Many of the largest and most stable corporations in America and Europe utilize factoring as a means to speed up their cash flow so they can seize opportunities to increase their market share. Having a reputable factoring and accounts receivable management company, like American Receivable in their corner, can be a big help. Many businesses love working with factoring companies because they don’t have to wait for customers to pay. Simply turn your invoices over to American Receivable and continue running your business with confidence. This frees up time to manage your business while creating positive cash flow without selling off ownership or creating debt.